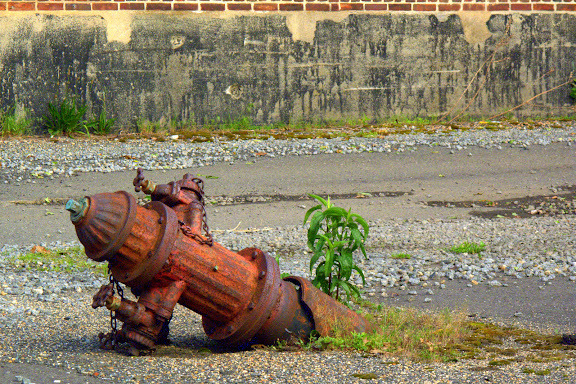 The old fire hydrant stood watch for many years at this abandon industrial complex. Looks like a careless driver dealt the fatal blow. Canon G10, 54mm equivalent focal length, 1/500 sec @ F/5.6, ISO 200.